How and when you learn something matters. It seems like information should be information, after all facts are facts. It shouldn’t matter when we learn facts and theories, as it’s generally assumed they are independent, but this assumption is often false.. The sequence in which you learn something determines the view from which you see the information. Take, for example, endurance development. If you are a cross-country or track coach, chances are you grew up running. So you learned training theory via practice, before you even knew you wanted to coach. You learned what a long run, tempo, intervals, and so forth were and, more importantly, how they felt. Once you decide to go down the coaching road, the next step is often to layer the science on top of this foundation. On the other side of the coin, if you are a non-endurance athlete who then gets into coaching a sport with an endurance component, you don’t start with this practical/applied knowledge, but instead generally learn the science first. If you pick up a book or go to a conference, the science section, explaining the training is often presented first or at least alongside the training theory. You then start with a foundation of science and have to try to layer the practical points on top. It’s a subtle difference, but it shades how we see endurance development. Pick up a book on team sport endurance work versus coaching running book and the differences are clear. Go to a conference talking about endurance development with elite running coaches versus elite team sport conditioning experts and a difference appears. The way in which they approach the topic is different, and it’s shaded, in my opinion, by this central bias in each group. In this post, I want to go through some of those differences, with a bias towards the running worldview, in hopes that team conditioning coaches can take something away. When endurance coaches are going through their own careers, they learn the lingo and what it means. They quickly realize that when their coach says “strength” they don’t mean lifting in the weight room, but instead building aerobic strength with tempos, long runs, and long repeats. While this is only example, there’s a whole nuanced language that arises. If we look at endurance language from the non-endurance coaches, the terms are different. Instead of colloquial sayings such as speed, strength, tempo/pace runs, etc. you tend to see well-defined terms used. In the speed/power world, you often see terms such as aerobic capacity, aerobic power, special endurance I/II, VO2max, and a myriad of other such phrases. It’s technical and defined. Not to say that endurance coaches don’t use these terms too, but the difference is that the system of development is built around this paradigm. We do workouts to improve aerobic power or capacity and so forth. It becomes a plug and play of “we need to improve aerobic capacity, these are the words that do it.” As I mentioned in my losing imagination post, there’s a loss of creativity that occurs when the model is too technical and defined. What you may notice is that all of these terms are based on what I’d call a Physiological model. They are all aimed at improving some physiologic capacity. Instead, from what I’ve seen of good endurance coaches, the model is built on improving qualities of the runner as a whole. When they do tempo runs for “strength” it’s not because it improves lactate threshold, that’s just a side benefit. Instead, the paradigm is something along the lines of, in order to have the endurance for the 10k he’s about to run, we need to get his body physically, mentally, emotionally ready for grinding right on that edge for a long time. It’s an overload. If he runs 4:50 pace for 10k, then perhaps he does a broken tempo with 6-7mi worth of work at 5:10ish pace. This might seem trivial, but I think it’s a point that needs to be emphasized. Whenever I got to conferences or read about developing endurance in another sport, the conversation is on VO2max, LT, and various capacities. Whenever I talk to great coaches I respect in the running world, the conversation doesn’t seem to involve those terms or that paradigm. That should provide a red flag for asking the question, why coaches, whose almost sole goal is to improve the quality of endurance, are they talking about different things? The model is different. Along the same lines, in the 90’s and early 2000’s in the endurance community, everyone talked about energy systems. Training was assumed to be energy system based, and some coaches even suggested matching the intensity split with the % of aerobic/anaerobic contribution of the event itself. If we looked at the 800m for example, back in the day, research suggested that it was around 50/50 aerobic/anaerobic. In the early 2000’s better studies came out and shifted that number to 60-70+% aerobic. That’s a huge difference! Did coaches run out and start hammering more mileage for half milers? Nothing changed in Training. 800m runners, although with slight innovation that occurs with time, didn’t drastically change their training because the new model said the event is more aerobic. Fast forward a decade, and many of the team sports endurance development models are built on an energy system paradigm. Energy system evaluations provide a peek of what the (energetic) demands of the event are. That’s it. They aren’t used to define the percentage of work done, or even what ‘system” to attack. Why does this occur? It’s my belief that coaches in team sports miss the nuance of endurance. Just as endurance coaches miss the nuance of sprinting (because everything near max feels top speed to a distance runner), non-endurance folks miss the subtle shades of paces and efforts. When the subtle shades aren’t there, it becomes easy to fall into an energy system based classification system. I was presenting on this vary subject at the Seattle Sounders clinic, discussing the differences of my middle distance athletes training. Dave Tenney, one of the smartest coaches I know, turned to me and said, in our sport those would all be the same. His point was that while I was obsessing over the details of four 800m runners who had run 1:48-49, and how some could run 47 for a 400m and others only 49. His point was a poignant one. The further we specialize, the narrower the classification systems get. Take almost any of my collegiate guys and even the 5k-10k ones can drop down a 52 second quarter. That’s not fast, but in the grand scheme of things 52 doesn’t seem that far off from 48-49. If they were all mid-fielders in soccer, we’d know one was slightly faster than the other, but they’d all still be considered midfielders with good speed and endurance. As runners though, they are completely different breads of animals, requiring different training regimes. In another realm, when I was learning how to sprint, thanks to coaches Gerald Stewart and Tom Tellez, I didn’t understand it at first. Sprinting seemed really simple. You go out, run as hard and fast as you can. Until, they pulled me aside and said “Distance runners all have the same problem. They associate running faster with gritting their teeth and running harder. To sprint faster, you don’t try more.” As a teenager, this Buddhist proverb like talk of ‘to run faster, stop trying’, made no sense. It wasn’t until I learned the nuance of speed that it finally clicked. The message that both coaches were trying to get across is that relaxed speed is different then gritting speed. Beyond that, there are shades of sprinting just like there are shades of “jogging”. The best point of comparison I can give, is if you watch 800m runners get out in the first 200m of their race. Depending on the level, they will cross the first 200m in 24-25seconds, looking like they are smooth and relaxed, despite this being maybe a second or 2 off their max speed. It’s fast, but it’s smooth. When you look at the team sports game day data from GPS and accelerometers, they do this nice thing where they separate out the amount of time spent walking, jogging, running, and sprinting. It spits out a nice chart telling you how much each athlete spent in each zone. One problem I have (among many) is that the “sprinting” parameter is often set at a speed some of my endurance athletes could run 10k at. Now, that’s not a problem if you realize what the data is telling you, but the problem is a lot of coaches ignore that fact and just see “sprinting” or “high intensity” running time as the key. So, they go back to their zoned training and program in more high intensity work to correspond with game day activity. The problem to me is the loss of nuance. There’s a completely different training effect from some soccer player running 17sec per 100m pace and 14 sec per 100m pace, yet they are all considered high intensity. If I went to the track and told my runners that today, we’re going to run high intensity 200m repeats. You can do them anywhere from 35seconds down to 25 seconds. They’d look at me like I was nuts. 35 seconds would be a piece of cake. 25 seconds would be very hard. Yet, this is what the data is telling us when we lose the nuance of speed. Another sore spot in my tirade against conditioning guru’s is the misunderstanding of high-intensity. This ties in nicely with the nuance of speed. There is no such thing as high-intensity. Walk into a gym, and they’ll tell you to do Tabata sprints all-out, and that’s high intensity. That’s not intensity, that’s idiotic. I could go on and on, but all of those are “intense” for a different reason, but none of them are all out. Even the very fast 200’s for this young lady, weren’t maxed out. Her last one was her fastest as she dropped the pace down. And that’s where a fundamental misunderstanding of high intensity comes from in the gym or out on the pitch. Intensity is variable and that theirs a confusion between “max effort” and high intensity. When we go train on the track during interval sets like those above, the goal is to ingrain running fast and running smooth. So that, even if we start to fall apart on the last rep, we are practicing running with quality. Yes, sometimes things break down and that’s a wonderful chance to focus on holding things together at the end of the race. But in all my years of coaching, I don’t think I’ve ever stepped to the line of the track where athletes had multiple intervals, and said “I want this first one to be all out… then we’ll die the rest of the way, and you’ll get super tough!” Yet, time and time again, that’s how high intensity work is approached in the gym. On this rambling rant in this section, the point is this. There are shades of grey. If I have a 1:48 800m runner, doing his first rep of a few 400m repeats in 51-52, yes it’s fast, yes it’s intense, but it’s also just slightly under control. They look strong, powerful and aren’t falling apart. You hate “jogging” because you do it wrong. Head out to the track of a good college team and watch them run an easy warm up. It doesn’t matter if it’s 6 minute miles or 7 minute miles or 8 minute miles. There is a very subtle difference, but they are all running. Now turn to your soccer team, watching them do some shuttle conditioning drills, and they are running as slow, but flailing all over the place, looking like death. This occurs even when they are doing their “high-intensity” work, that doesn’t look that high intensity. They’ve hit their point of breakdown, so why are they running slow and still flailing? When coaching HS cross-country, you’d always get the new freshman who would come out and while the rest of the team was running 9 miles, he did a one mile warm-up, looking like he was going to flail himself to death with his arms spinning side to side and his mechanics breaking down. This wasn’t a sign to drop everything and fix his mechanics. Read that again. It was a sign that he didn’t have the fitness, strength, or anything to hold his mechanics together. Often, if you made the kid do a 100m acceleration his mechanics weren’t horrible. They weren’t great, but they were passable. The goal then became to slowly, gradually increase his fitness, and mileage, to where he too could run around maintaining his running mechanics. Then, we went about fixing the minor issues. He had to get in good enough shape to where he could express his mechanics for long enough. Everyone has a breaking point when it comes to mechanics; out of shape people just hit that point earlier. Jogging isn’t the problem. It’s that your athletes do it wrong, because they don’t have the endurance to express their mechanics. Watch a Kenyan runner run at 9 minute miles, and watch the difference between him and some soccer player running 6-7 minute miles. The Kenyan looks better…running slower. If endurance isn’t VO2max, lactate threshold, or any of the scientific trigger words, then what is it? It’s an extension of quality. What does that mean? Endurance is all-relative, and we are trying to extend it. Whether it’s trying to extend the ability to run at near max from 400m to 425 meters, or extending how long we can maintain 5 minute pace without running out fuel or losing efficiency. In other words, endurance is all about extending our ability to maintain quality foot strikes, touches, or whatever physical component it is. It’s a holistic way of looking at endurance. If we go to the track nd watch my 800m runners do a few 400s in 53-54. If you watch the last one, they are attempting to maintain form, struggling to keep their head forward, resist the temptation to lean back and flail their arms. They are trying to maintain their turnover and legs coming into the ground with good force. In their minds, they are trying to keep pushing through and directing their body with what to do, despite ever-increasing levels of pain, a signal from the brain to stop. When we look at improving their ability to do this, as you can imagine, it requires a mix of physiological, biomechanical, emotional, mental, and neural adaptations. We don’t know exactly where the weak link in that chain is or even how much each of those factors contribute to the breakdown. For instance, if his biomechanics start to fail, is that a mechanical issue? Or perhaps it’s a mental one, where he is losing focus on maintaining his arm swing? Or maybe, it’s a subconscious emotional one, where he is starting to lean back because he’s hurting a ton and this “falling apart” tells all who are watching that he’s ina lot of pain? And on we could go. It’s the coach’s job to try and figure this out to the best he can, but beyond that it’s to improve all of these qualities. That’s why It’s fallacious to think of endurance only from a physiological standpoint. Yes, it’s important, but when we’re out on the track, we’re trying to extend the quality of his performance. We try different cues, workouts, and so forth to attack these qualities as a whole. And that’s why, although it might seem like a cop out, endurance is about extending quality. The details, the intricacies matter. Endurance development isn’t about “jogging”, logging miles, doing HIT, or any of that nonsense. It’s an intricate process, respect it, understand it. It’s why I don’t know if I trust a non-endurance person to understand the demands of endurance, without getting out there and feeling it himself. It’s a feeling you have to understand to know that you can click off 5:10 miles on this tempo for another 4 miles, but if you push just over that edge to 5:00 pace, you’ll be finished in less than a mile. When you experience that subtlety, it reinforces the shades of grey that we work with. The Mike Boyle’s of the world see’s endurance through a jaded lens. 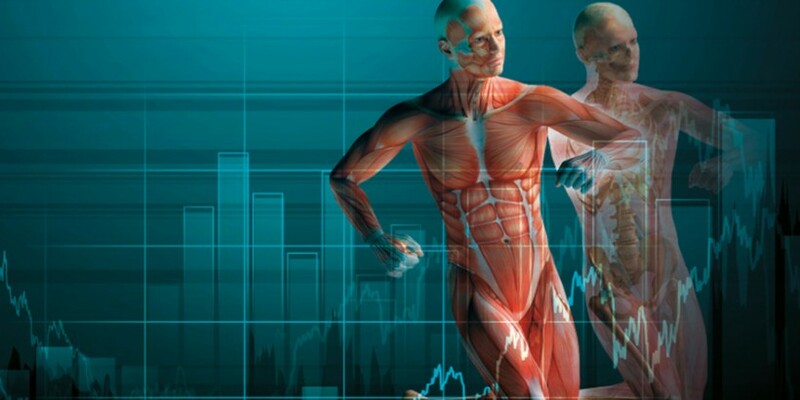 Most sprint coaches see endurance through a biomechanical lens. I see the sprint world through a distorted lens. We all have our bias. I just had an 800m runner, a guy who has done a 70 minute long runs do 4x200m with a couple minutes rest in his base phase avg right around low 22sec from a standing start for each 200m. Does that seem like a man whose speed has been decreased by doing a bit of aerobic work? I’ve said this before, but I’ll say it again, would a soccer team, hockey team, etc. not want someone who can do repeat 200’s in 21-22sec and also run for 70 minutes? Again, I’m biased. I see things through my little endurance lens that colors the world, but at the same time, I think there’s been too much of an anti-endurance bias in the speed/conditioning world. There’s a fear of any “jogging” taking away from the explosiveness of an athlete. Let me frame the question in another way, If, as a speed/power expert, an endurance coach came up to you and said “I never want my athlete to sprint, because I’m scared it will take away from his aerobic base. So we’re not sprinting, ever.” Would you not laugh in his face? Of course you would. And rightfully so, because it’s absurd. So why in the world, do you think that any “slow” movement takes away from speed? If they lose speed, it’s your fault. You messed up the balance of the programming. But, the ones who eliminate all “endurance” work in favor of “HIT” training only are telling me that they aren’t a smart enough coach to figure out how in the world to maintain a balance of speed and endurance. I’m not saying that all-team sports should go out and run miles and if that’s what you take away, you missed the point. What I’m saying is that team sports coaches should step outside of their mechanical/neural/energetics model of training. Just as an endurance coach needs to shift their view to a biomechanical view of the world occasionally, sprint/power/team sports need to adopt an endurance world-view. Even if just for a moment. It’s when we see the world through a different lens, that we are able to make connections and see misguided assumptions. That’s when real progress occurs. *Now there are exceptions if there is zero endurance component (i.e. lifting a weight that takes 2 seconds of movement and you’re done), but we’re talking most team sports that have a mixed demand.